One improvement the 179s have over previous NTT car classes no one talks about is the HAVC is MUCH quieter, the HAVC on the older NTT car classes can be deafening. True. R160 HVAC sounds like a diesel loco. MTA mustve put a spec on the loudness of them for R179. Heated seats and the softer suspension are the other improvements. R179s are a ground up design by Bombardier. R160s are simply R143s with a FIND display, different shade of wallpaper inside, and diff end doors. All other engineering and parts and hardware is the same. The R179 is a virgin design. R179's are based on the R110B's, the key differences is the length, interior, front ,rear and mechanical. But body wise it's a R110B with a modified R160 face. When is delivery scheduled to be complete by? What time do the cars typically come over the bridge? Thank you! I'd been wanting to see them deliver a car before they were all here, and never knew in advance when a car would be coming! what does "the feb" stand for? I'm guessing it was a typo of "GWB"
it will probably go to the J since 3150-3237 on the C make an even 11 trains. Also 3050-3149 excluding 3070-3073 are on the J. Well, based on this information, (3241 delivered before 3020) it seems that the deliveries are not going in exact numerical order. 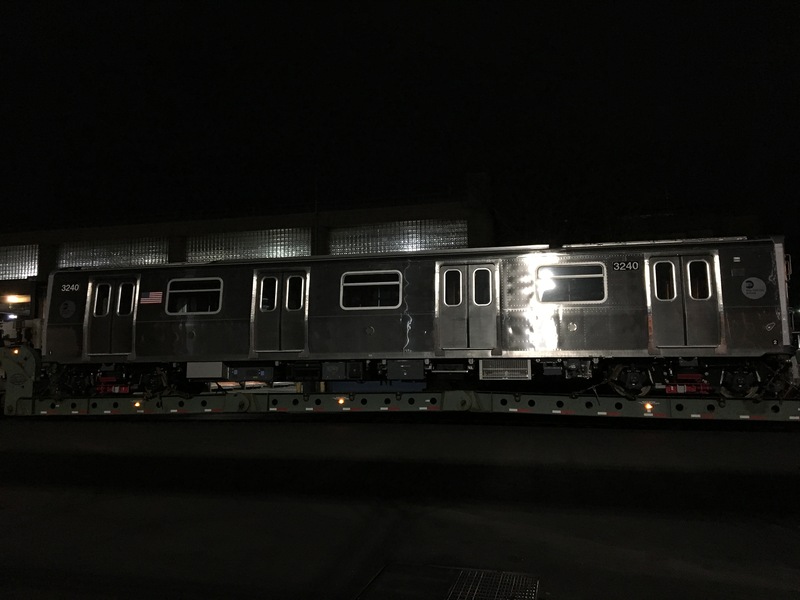 Nevertheless, it's still excellent news, which means that in May, the A will have 2 10 car r179's in service. Does anyone have a list of the current #s and assignments? *Each line has 11-12 trains shared. Fixed, 12 more ten-car sets coming. Total 13 trains. overall fleet total 318 cars..... again. 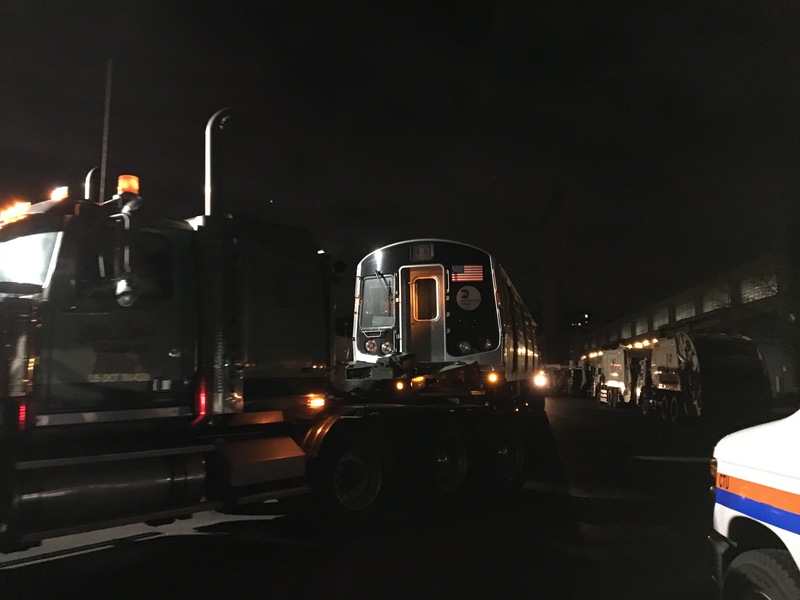 3240 and 3239 arrived tonight at 207th Street. 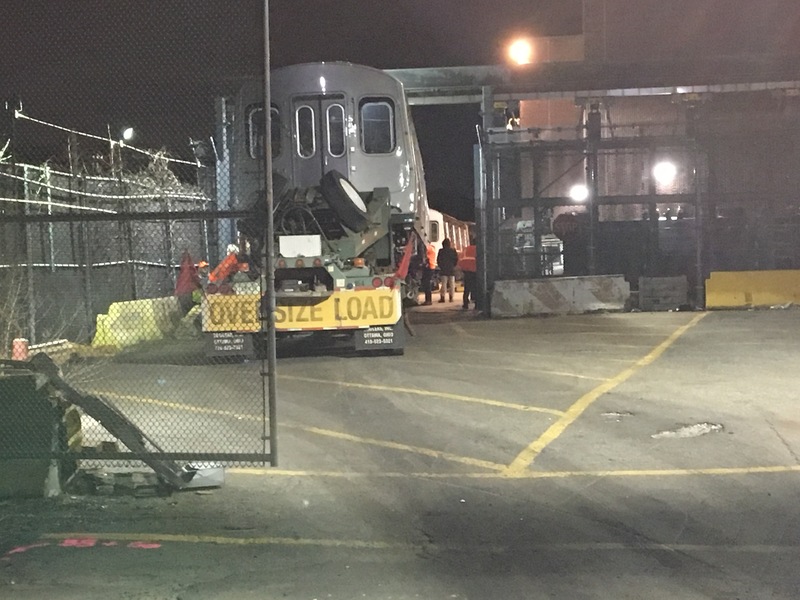 I got to see them actually unloading 3240, and saw 3242 and 3241 just behind it, ready to be linked up with tonight's deliveries. 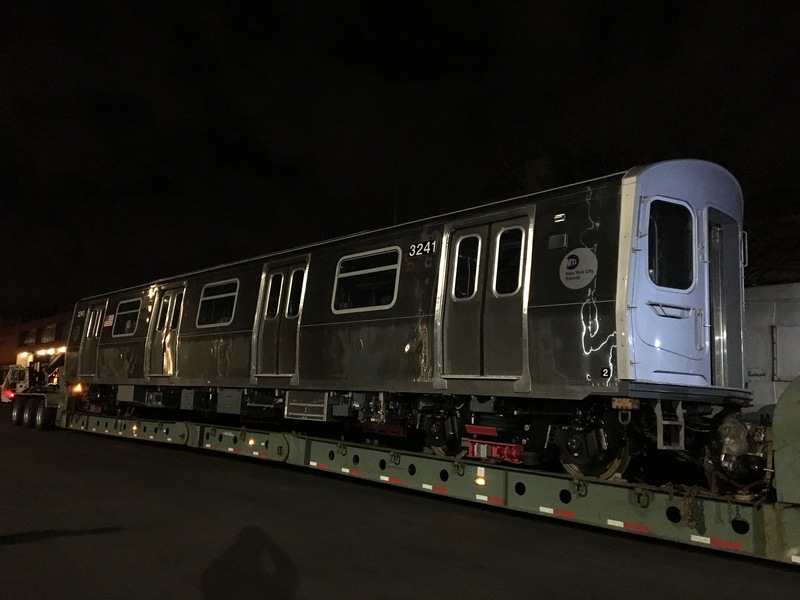 will the still have the 13 R179 trains when the R211s arrive? Most likely yes. Too soon to tell though. Agreed. If anything the 8 car trains on the will be transferred to the and the would consist of 10 car R211s. It really seems the got the short end of the stick here. 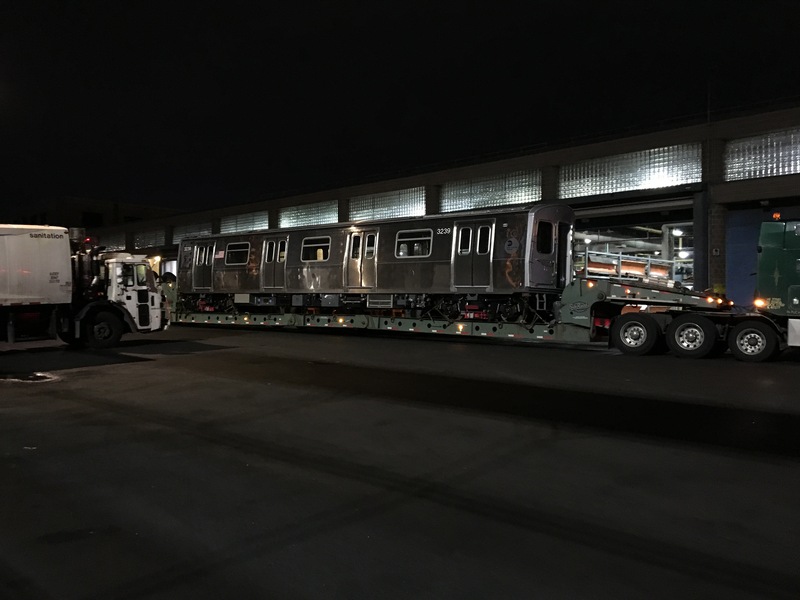 They got new 8 car trains instead of 10 cars not to mention the getting 12 8 car trains instead of 5-6 to replace the R42. this wouldn't have happened if they didn't send R32s to ENY. They did this because of the shutdown. The original plan was for the to use full length R46's with R179's and have the have all the 8 car 179's while the was to be a mix of 8 car R32's and R160A-1's. 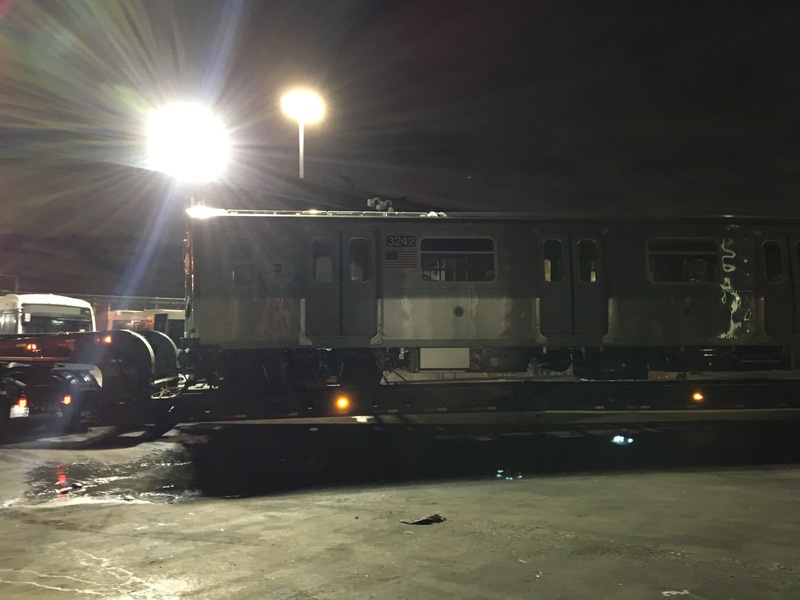 Now that the shutdown isn't happening, the isn't going 8 cars and from the looks of it even though it's not official, the is stuck with the remaining 8 car R179's and 7 R32's. The still has a possibility of going full length meaning the and would split the 10 car R179's. Meaning the 8 car R179's could be pushed to another line.